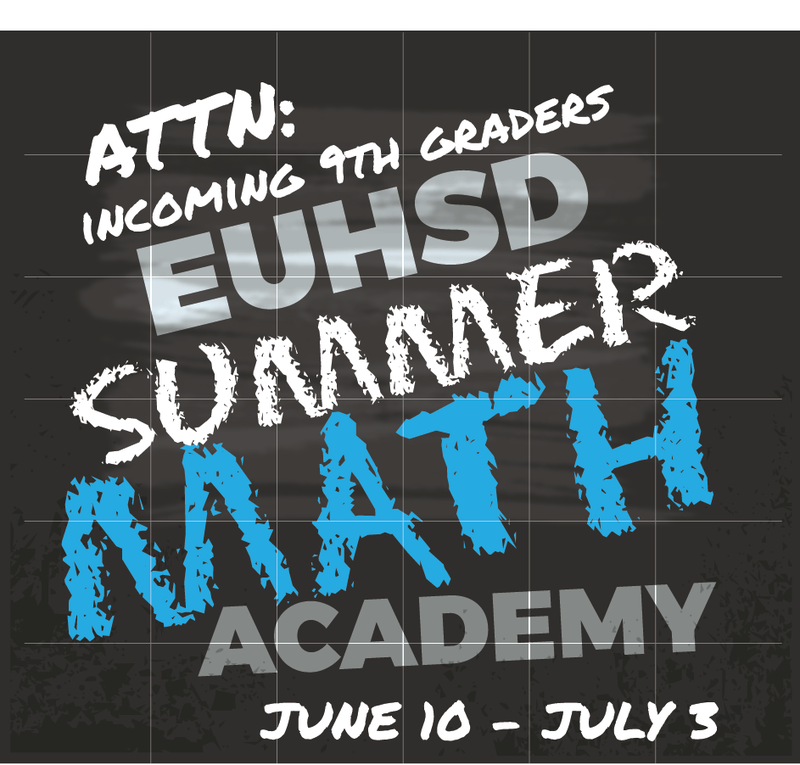 We are looking for incoming 9th grade students to join us in our Annual Summer Math Academy in the Escondido Union High School District. You will spend the summer program in a small class setting getting to know your high school campus, math teachers, learn more about going to college, work on fun projects, and get better prepared to take math in 9th grade along the way! The Academy is open to all 8th grade students attending EUHSD high schools. Earn 5 elective credits for high school! College field trip and family math night! Applications are available in your counseling office or the high school district office. All students are welcome. Students will be accepted on a first-come, first-served basis. Get your applications in early — deadline is April 30th.